Today is National Yorkshire Pudding Day, so we thought we's look at all the weird and wonderful ways in which people enjoy their battery bites. From sweet to savoury, exotic to eyebrow raising, we take a tour of all of the nation's perculiar eating habits, with the help of Wren Kitchens. Or, if you cant make it to the North West but still want a piece of the pudding, you can recreate a fancier version (as seen below) and impress your loved ones with this recipe on sortedfood.com. 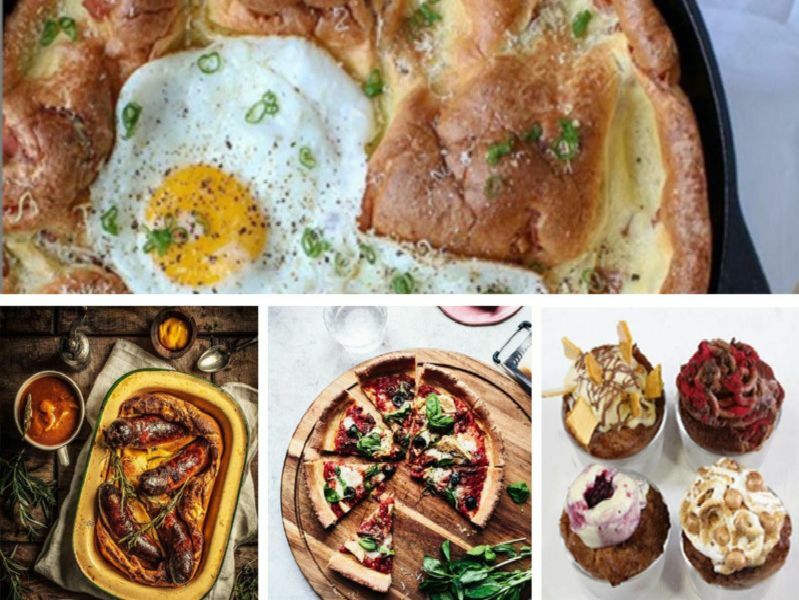 For another excuse to eat Yorkshire puddings for breakfast (with bacon and eggs! ), see this tasty recipe on Serious Eats. You cant beat an original. Toad in the hole is a traditional English and Scottish dish consisting of sausages in Yorkshire pudding batter, usually served with gravy and vegetables.